I’ve just got a new toy (tx John!). 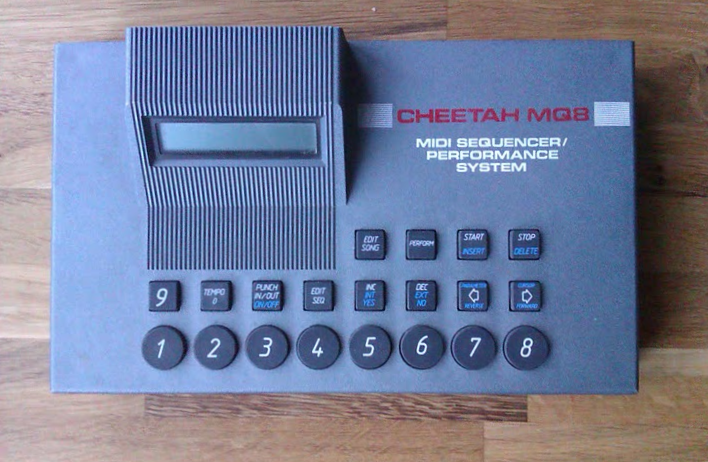 It’s a Cheetah MQ8 midi sequencer. This is UK made, apparently released sometime in the late 80s as a competitor to the Alesis MMT-8. I’ve only just started to figure it out: pretty crazy trying to do everything with a combination of button presses and a tiny, dim LCD screen! Here’s a two track improvisation, using sounds from my trusty Casio GZ-50M.